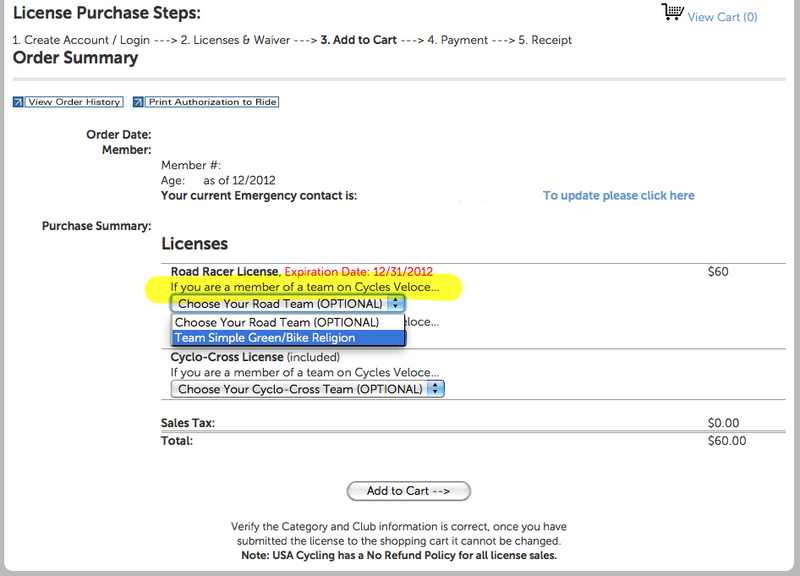 Now that December has rolled around, ’tis the season to buy that 2012 USA Cycling License! However, before you do, please read the following guidelines to ensure you register properly. 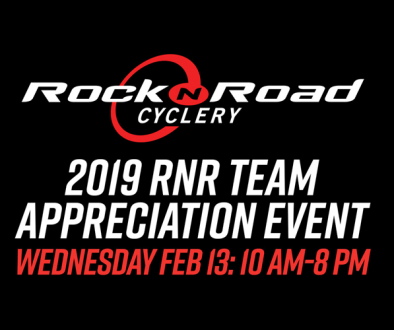 Not only will you be fulfilling a sponsor obligation, but your race results will be correctly tabulated under the same team name rather than split between team and club names. Cycles Veloce is an officially registered club and racing team with USA Cycling. As such, it is important that you explicitly identify both the club name as well as the race team name when you purchase your racing license. 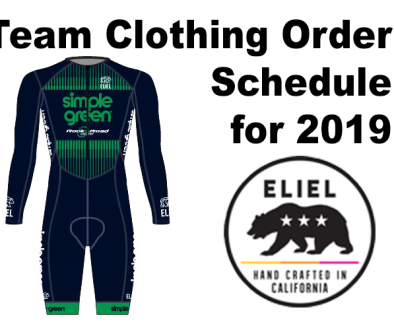 Failure to do so will result in your race results being incorrectly tabulated under the club name Cycles Veloce, when they should actually be under Team Simple Green/Bike Religion. 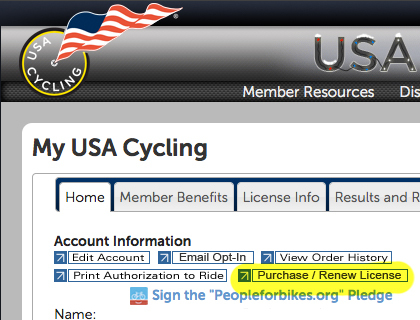 When purchasing your license at USACycling.org, if you don’t already have an account with USA Cycling you will need to create one. If you are renewing, simply log in and then click on the Purchase/Renew License link. Select the licenses based on the race disciplines (Road Rider, Mountain Rider, etc) you plan to compete in during the 2012 season. Note that you can always add licenses during the calendar year. Read the waiver and media grant, then electronically sign by typing “I agree” in the designated box. In the Order Summary window you will be presented with the list of licenses that you selected in Step 2 above. Although it states that selecting a club name is OPTIONAL, do not skip this step! There is a drop-down field for each discipline. This is where you should select our registered club name, “Cycles Veloce – TRABUCO CANYON, CA” from the list of available clubs. Repeat this for all licenses in your order. 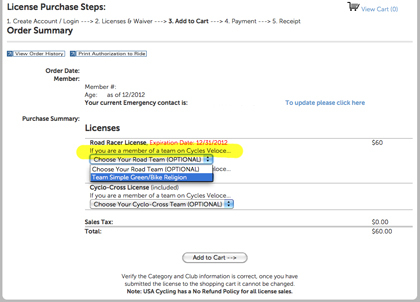 For each license in your order, you will see the following: “If you are a member of a team on Cycles Veloce…” with an accompanying drop-down field. 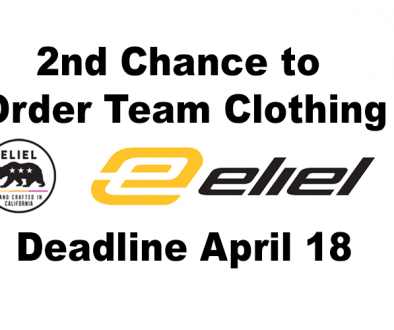 It will state that selecting a team name is OPTIONAL, but do not skip this step. Instead, choose “Team Simple Green/Bike Religion” from the drop-down list. Again, repeat for all licenses you are purchasing. This is important as it satisfies one of our sponsorship agreements. All that’s left to do now is to Add to Cart, then pay using a major credit card.